Welcome back to school to all our families, as we begin the last term of the 2018 school year. The Catholic Special Character of our school is at the heart of everything we do. The school’s values, set in the stories from the Gospels, provide us with a strong foundation on which we build our school. It is wonderful to see the growth in our children’s faith and their love for God which is reflected in word and action as they reach out to one another as they go about their school activities. This is what our school is all about- a school community which reflects the care and love of Jesus’ great love through the care we show one another and the commitment we all make to give of our very best. As our school continues to develop in its establishment phase, it has been great to see our children doing so well in an increasing variety of activities in their learning and in the sporting and cultural areas as well. 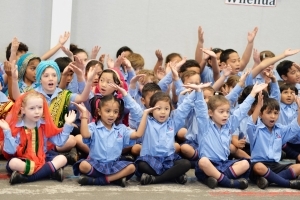 Of particular note is our involvement in the South Auckland Catholic Schools Kāhui Ako (Community of Learners) Kapa Haka celebration- the children in the Moana and Maunga Learning Communities did Holy Trinity Catholic Primary School proud with their outstanding performance. There were many glowing comments from the other schools and families about our children’s performance. 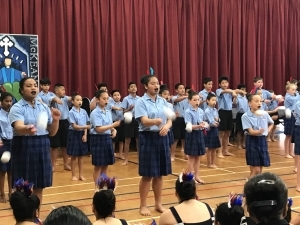 Thank you to the staff who trained the children in the Kapa Haka- Mr Williams, Mrs Silva and Mrs Hiddleston, and to the whanau who helped and supported the children on the day- a great effort by all. There have been a host of other experiences our children have been involved in- football, cross country, speech competition, Hip Hop, Saturday netball- to name a few. While these activities are all part of the daily life of the school, they do take extra time and effort to organise and the staff are to be commended for the work that is put into making these experiences happen for our children. Part of a school’s on-going development and progress, is the consultation with the community. The education of our children is a team effort and we appreciate the input from our school whanau, so together we can meet their needs. 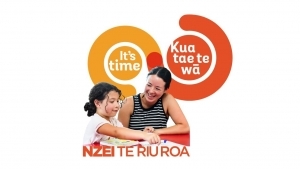 Thank you to all those parents/caregivers who attended the Maori whanau hui last term. It was very encouraging to see 13 of our 16 Maori families participate in an informal evening of meeting, greeting and sharing a meal together. Following this very successful gathering, we will be having another similar hui this term, as we share with our families, the aspirations they have for their children. Engagement with our Maori community is a government priority and an important part of our school, actioning the principles of the Treaty of Waitangi. Thank you also to those parents who attended the gathering at the end of last term to learn more about the school’s Health Curriculum. 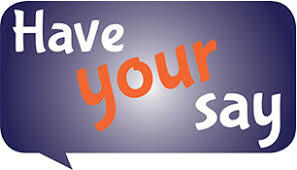 Your thoughts and ideas about what you see as important for the Health and Well Being of your children was much appreciated and will help the staff continue to develop this area of the curriculum. While we might get frustrated that we have no school fields to play on yet, we need to remind ourselves how blessed we are to have the outdoor space we do have, especially the size of the sealed areas. We are the envy of many schools! You will see that the development of the fields is progressing and we hope to have them open for school use at the beginning of the new year. It has been a long process, but it is well worth waiting for. THANK YOU to the group of parents, some with their children, who attended our school Working Bee on Saturday 22 September. 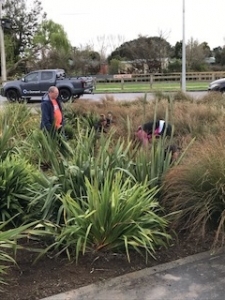 It was great to have the helping hands weeding, trimming and water blasting to give the outdoors a good spruce up. It certainly looked a lot better by the end of the morning. Your time, given generously, was much appreciated. We now have our PTFA up and running, with a keen group of enthusiastic parents. They have been busy with a variety of fund raising activities over the last two or three months- sausage sizzles, pizza lunch and discos- which have been popular with the children and well supported. The PTFA has a very important role in the life of the school and is integral to the development of our school in bringing the community together and who we are as a school family. This often involves fund raising and organising school/community events and gatherings. THANK YOU to the hard working team we have as our foundation PTFA. The time and effort you are putting into your activities is much appreciated. 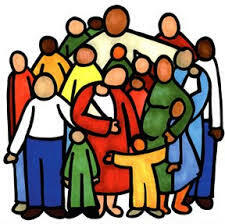 PTFA meetings are usually held monthly in the school staffroom and everyone is welcome. I am sure all our families are aware of the nationwide increasing problem in recruiting and retaining teachers. In Auckland, particularly, the situation continues to be at crisis point. There are not enough teachers being trained to meet the increasing demand of school aged children. Urgent and significant changes are needed. The issues are around recruitment and retention of staff, workload and learning support for children. While the increase of pay is not the only issue, it is significant in trying to attract new people to enter the teaching profession and stay in it. It is a challenge for the union working with the Ministry of Education around the negotiating table. Following the one day strike on 12 September, the government came back with an amended offer, which the teachers’ union has rejected. Negotiations continue, and unless the issues outlined above are not significantly addressed, there is the likelihood of further strike action. If this goes ahead, it is likely to be in the form of a “rolling strike” throughout the country, with Auckland teachers striking on Monday 12 November. This is still to be confirmed once the voting ballot timeframe concludes. We will keep you informed of developments. Our Board of Trustees is very appreciative of the great work our principal and staff do and the many hours they put in to providing the best Catholic education they can for the children. We are supportive of their endeavours in trying to get some positive changes in regard to their conditions of work, workload and salaries, in the hope that teaching becomes a more attractive career option, resulting in continued positive outcomes for our children. As a community, we ask that you continue to be understanding of the current situation and supportive of any action that the teachers’ union may find itself having to take. A closing thought… In our school mission statement, we recognise that families have a crucial role in the development of their children’s education and as a Board of Trustees we thank you all for the support you give to your children’s education and to the development of the school as a whole… “Together Everyone Achieves More” – we are a TEAM. May our God continue to bless us all, as together we continue to go forward on the exciting journey of Holy Trinity Catholic Primary School.